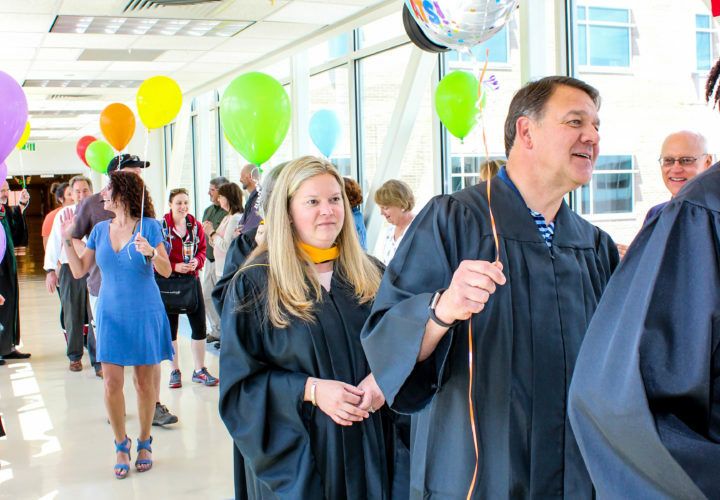 Every year in May and June, you can see it all around – it’s graduation season! 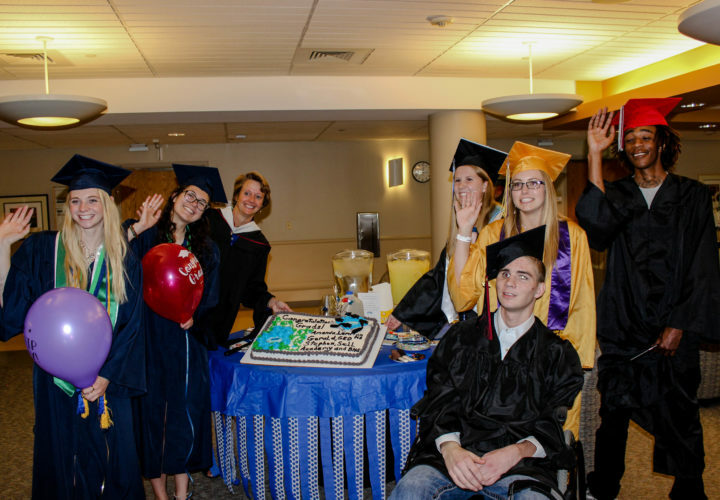 Congratulatory greeting cards are front and center, along with graduation party supplies and memorabilia (one simply cannot pass up the teddy bear in a cap and gown). 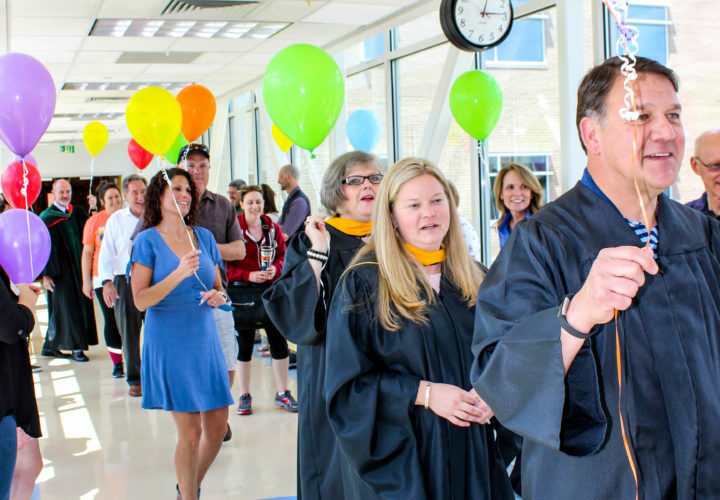 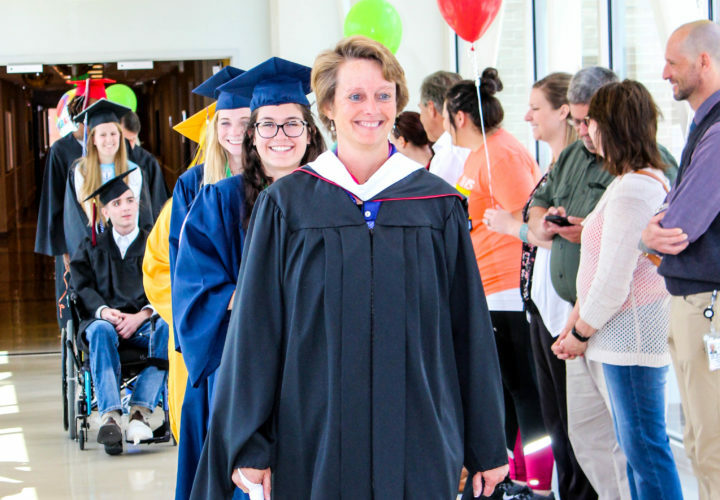 High school students graduating this spring have no doubt put in a lot of hard work and had support from their teachers, family and friends to reach that goal. 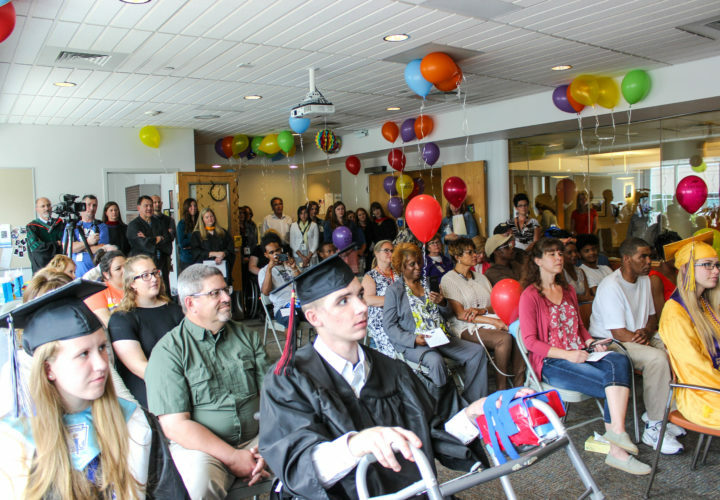 But for students who experience an interruption in their studies due to an accident or illness that leaves them with a spinal cord injury or a traumatic brain injury, graduating on time with their peers may seem impossible. 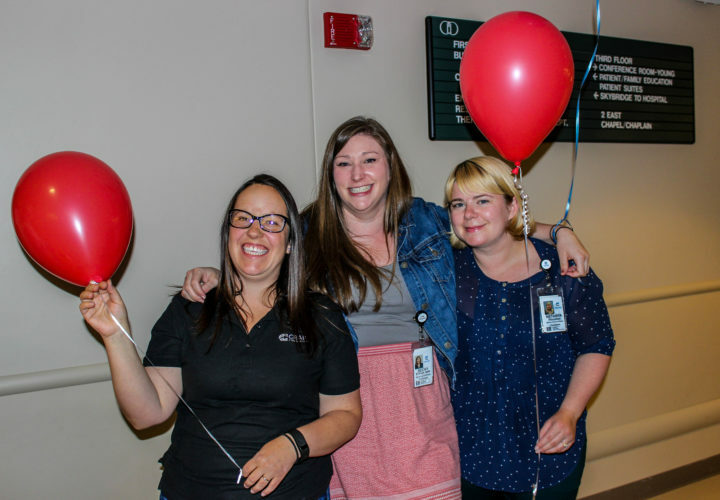 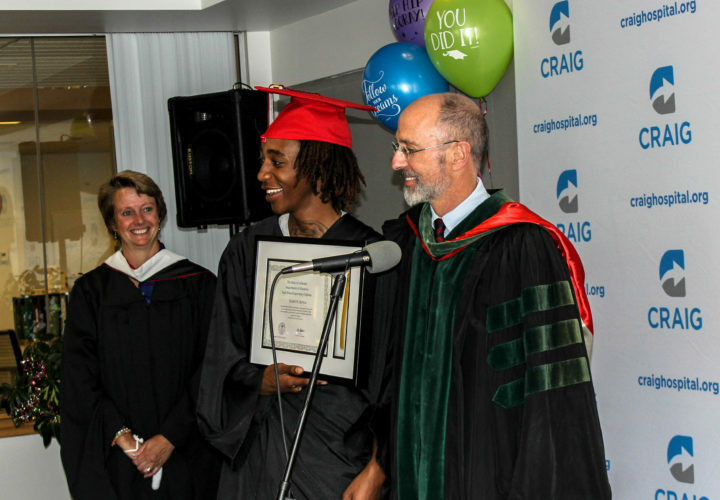 Through the Craig Hospital School Program, teen patients who come to Craig for rehabilitation – often staying for several months at a time – have the support of an education specialist who helps them stay on track with their schoolwork during their inpatient stay. 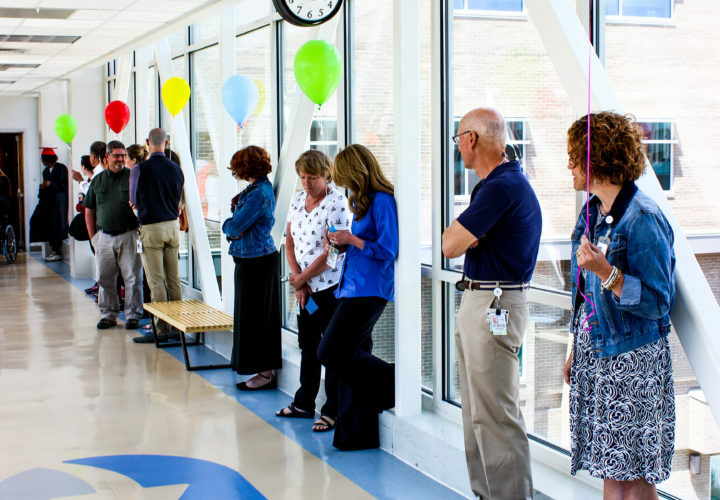 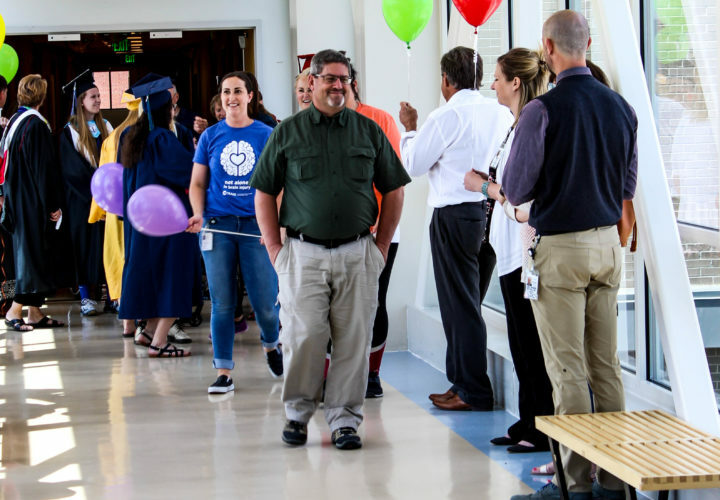 Craig is one of only a few rehabilitation centers nationwide with a teacher on site, who coordinates closely with each student and their family, as well as school personnel and assistive technology experts. 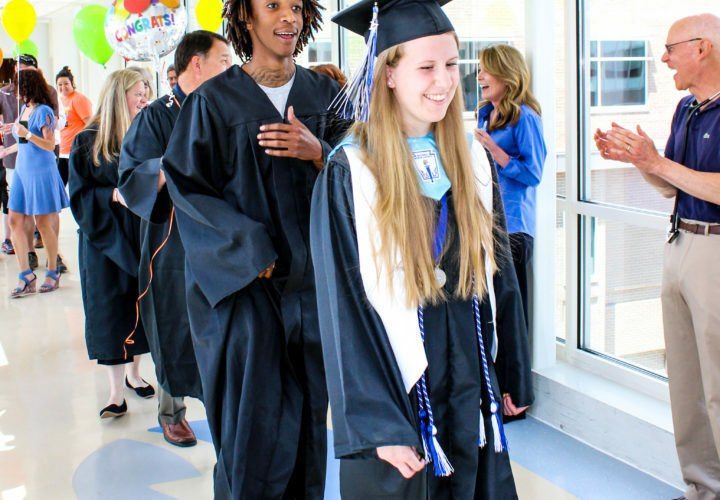 Elliott Harris graduated from Derby High School in Kansas and will be heading to Wichita State University in the fall. 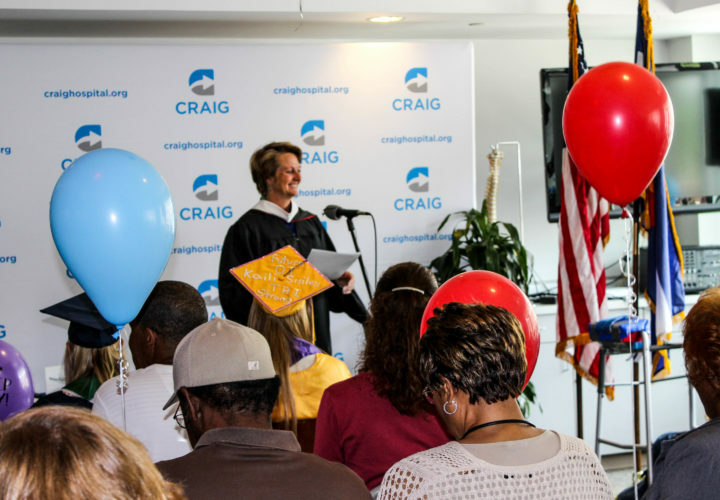 He spent four months in rehabilitation at Craig in 2015 due to a bleed on his spinal cord. 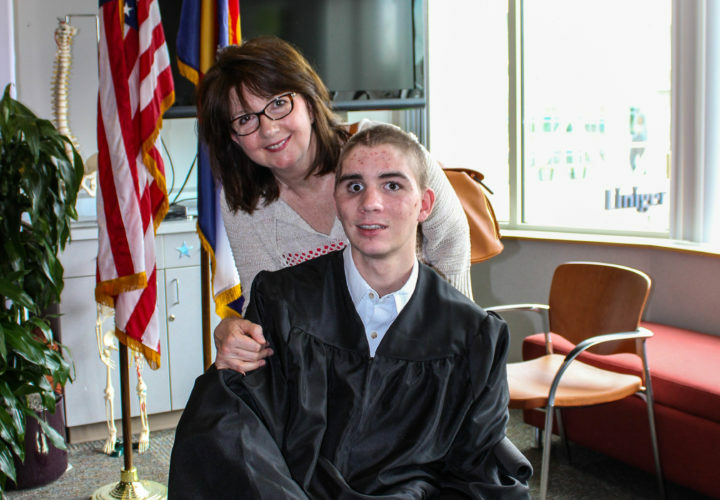 Dallas Dean graduated from Ellicott High School near Colorado Springs, Colorado with honors, and will be attending the University of Colorado at Colorado Springs. 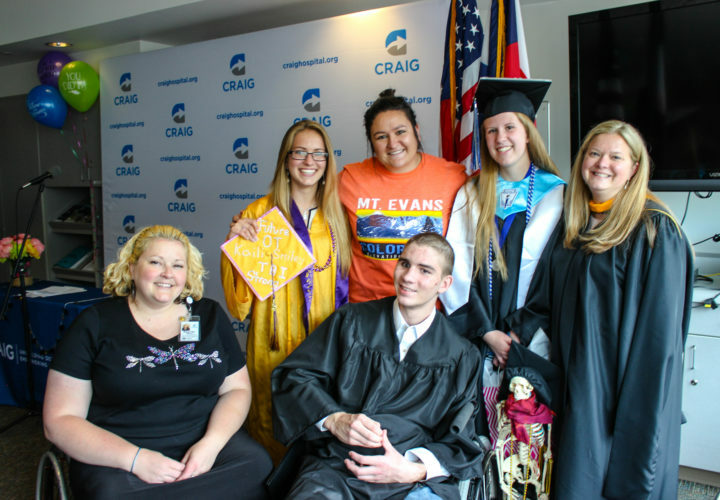 He sustained a spinal cord injury in an automobile accident just six months ago and spent two months at Craig. 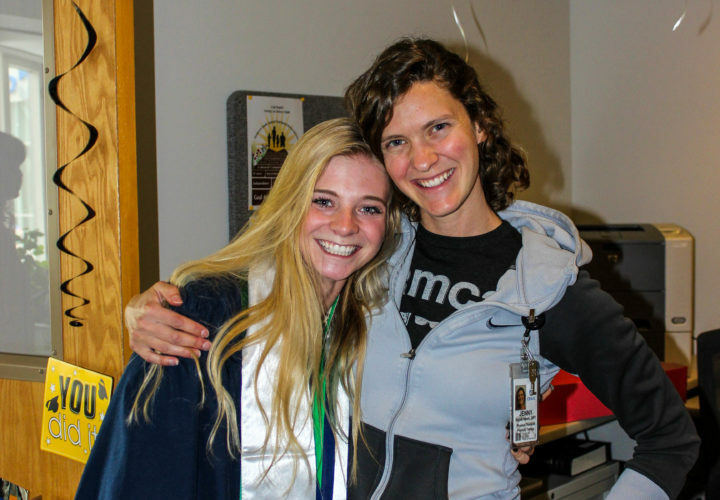 Samantha Braun and Kaili Johansen both graduated from Thunder Ridge High School in Highlands Ranch, Colorado. 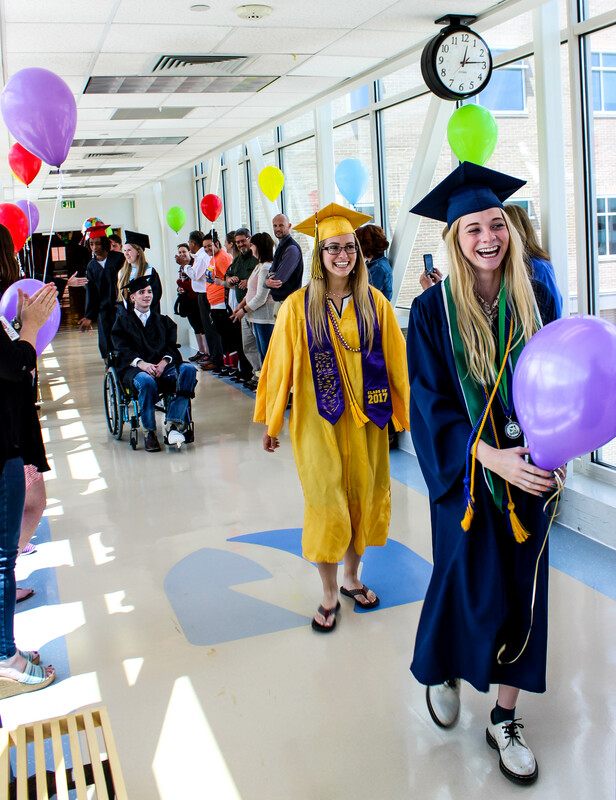 Both had been in rehabilitation at Craig for traumatic brain injury at different times, and both collected their diplomas earlier this month. 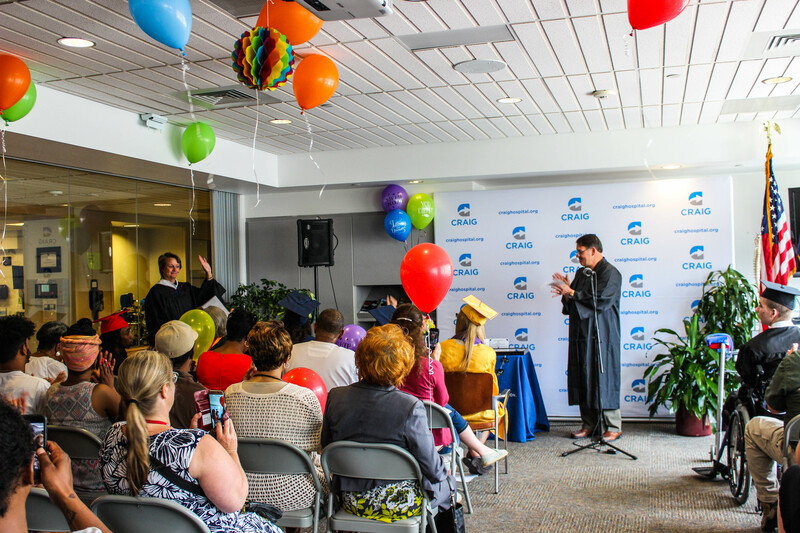 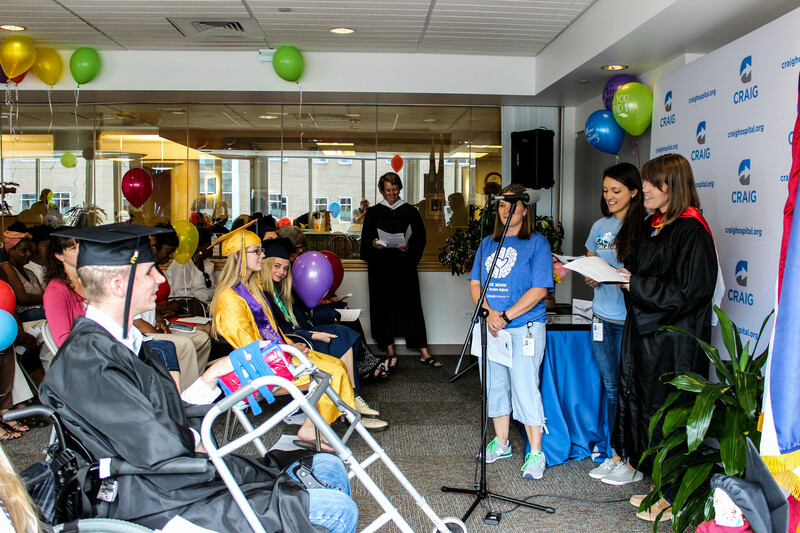 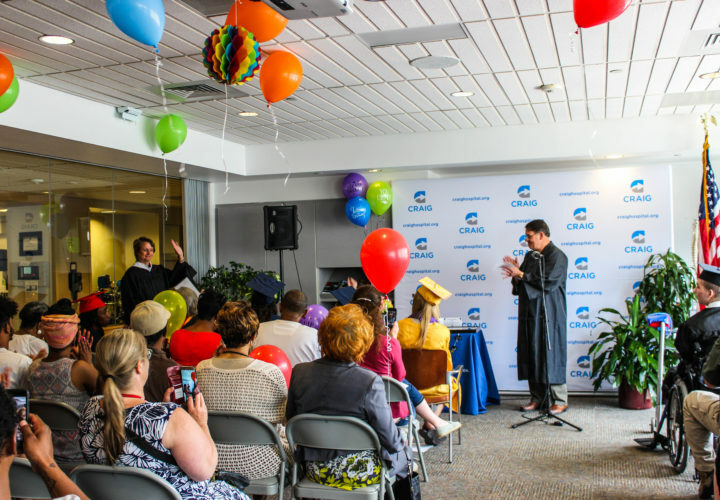 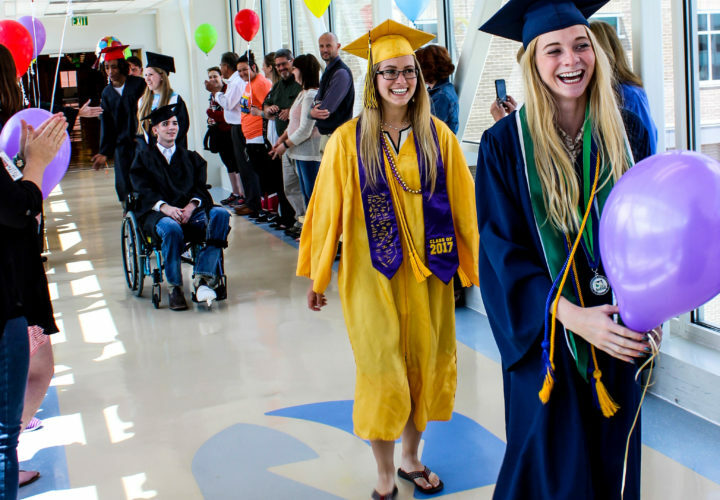 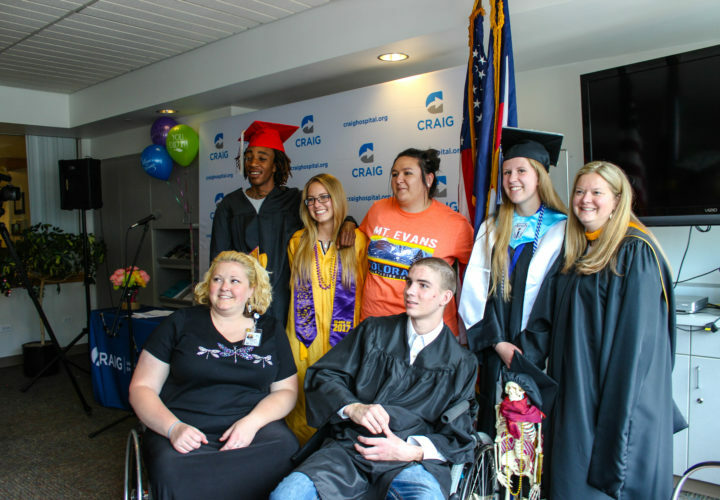 Laura also recently hosted a graduation ceremony at Craig for two current patients who are high school seniors and missed their graduations at home. 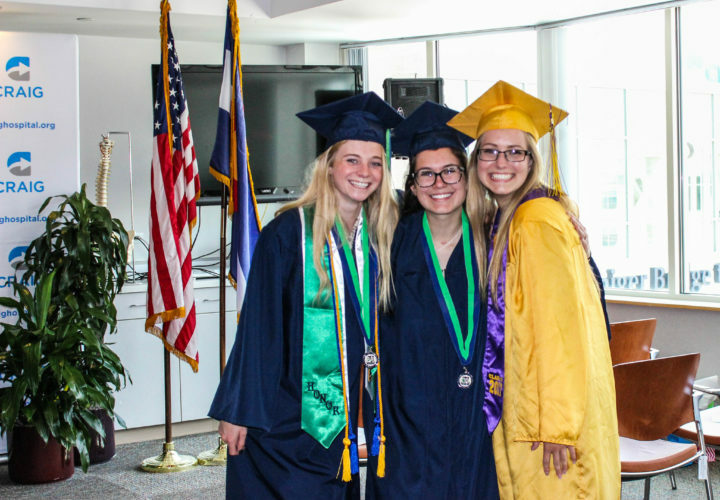 Amanda Riley from Lemmon, South Dakota was valedictorian of her class and delivered her speech at the Craig ceremony, where Stephen Sell from Booker, Texas also collected his diploma. 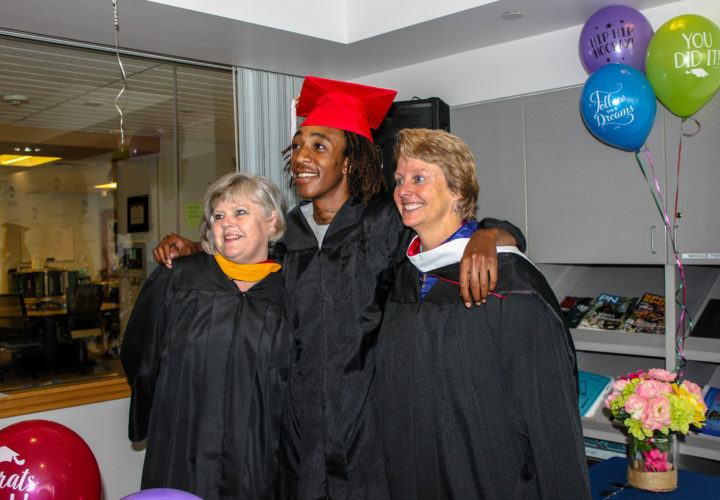 Another former patient, Gerald Becton, earned his GED at the ceremony. 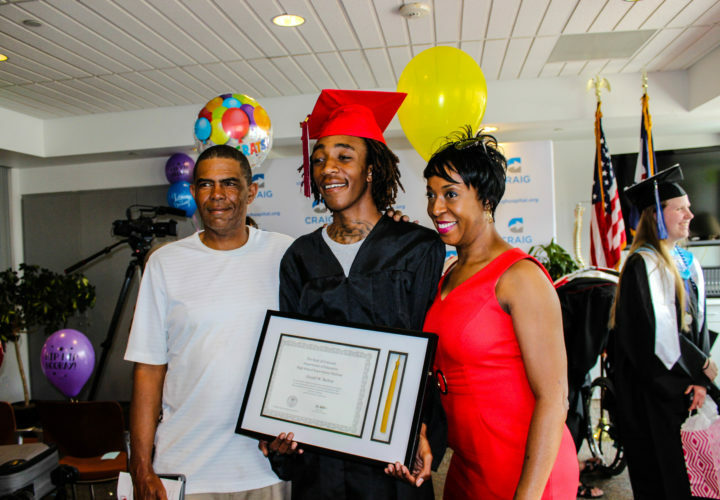 He had begun working on his GED before he came to Craig, and with the help of Laura and the Aurora Schools GED program, achieved his goal. 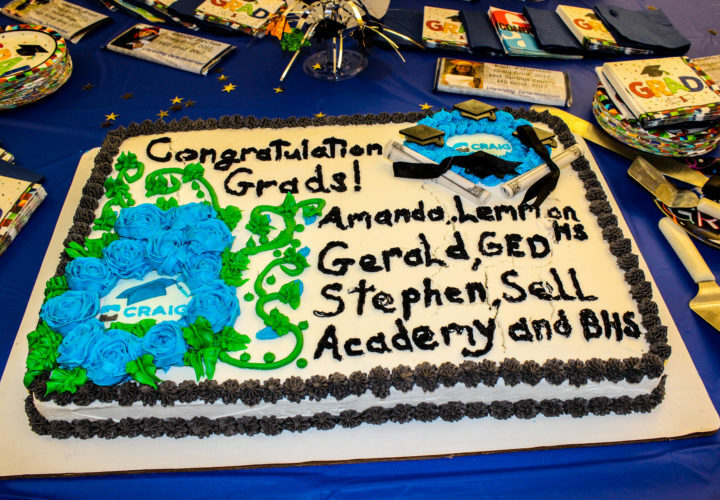 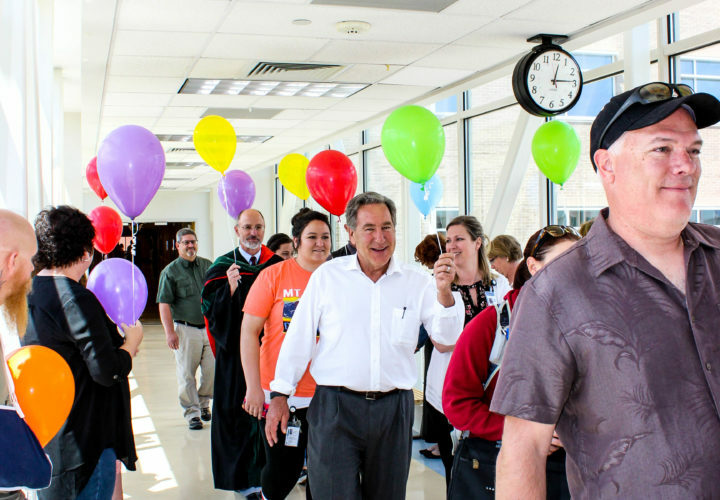 Congratulations to all of our current and former patients on your success!